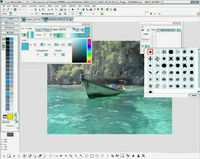 Resize Pilot helps you resize photos quickly and easily. This photo resizing program has a unique algorithm for image enlarging. The enlarging algorithm is most productive for focused images. Sharpness of the image may slightly improve as a secondary effect of applying the algorithm. 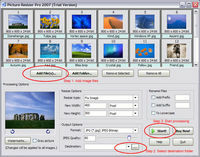 The program allows you to enter a desired percentage value to resize the image or select it from the pulldown.